"We can help you find some of the very cheapest van insurance deals available"
If you are looking to compare commercial van insurance quotes, then you have come to the right place. We offer an alternative to comparison websites, by coming directly to us here at Van Quote Direct we will be able to offer you the cheapest commercial vehicle insurance cover possible through a personal service rather than an online system. Van Quote Direct will compare quotes for you in a matter of minutes from some of the leading insurance providers before offering you the very best deal on the market. Why use Van Quote Direct? We will work to save you money, however there are naturally a few things you will need to tell us first! We will need to know what level of cover you are after; comprehensive, third party fire & theft, and third party all differ, and they will alter the amount you are quoted for your commercial vehicle insurance. Once you know what level of cover you want, you are more than half way there! Next, you will just need to fill out our simple quote form and enter all the relevant details. Our quotation form will guide you through the process of selecting the cover you want and the deal that is best for you also. Our team are leading specialist within the commercial insurance industry and they can help you get some of the very best deals that fit your budget. Whether you are insuring your own van for business use or a whole fleet of van for your company, our brokers will pair you with some of the leading insurer’s at the cheapest prices available. If you use your van for social, domestic or private use we can find you a reasonable policy that covers you for what you need. Take a look at our wide range of insurance extras available or call us on 0800 58 11 03 to hear some of our best offers. If you are struggling to find cheap insurance due to you being a young driver or previously obtaining driving conviction, worry no more. 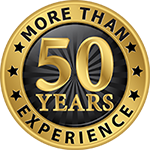 Our team has over 50 years of experience and will not fail to find you the cover that you need. Are you looking to insure a truck, minibus or modified van? Look no further. We understand that there are some vans that are inevitably going to be more expensive to insure but that doesn’t mean that we can’t help you find the best deal. We even offer temporary van insurance in order to meet everyone’s needs. Our insurance search engine will then compare quotes for you before presenting you with a number of different quotes from dozens of insurance providers. You can then select whichever one is best for you. Alternatively, you can ring us up and have a specialist, guide you through the process. They will then inform you of the best quotes that will suit your needs and wishes.